NeverDescend is a small Staffordshire based company, supplying and manufacturing excellent quality climbing equipment and clothing. We believe that climbing doesn’t have to cost the Earth. We offer the very safest, affordable gear without compromising on quality…NeverDescend. 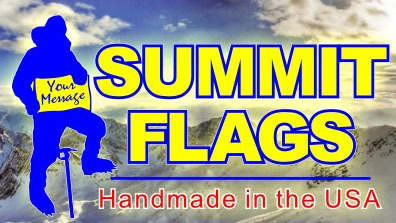 We create custom summit flags that are great for pictures, sponsor recognition, or to frame after the climb as a mountain memory. Low prices and quick delivery.